This reader for Junior Infants is part of Sunny Street, an integrated English Language Programme designed to meet the needs of Primary School pupils from Junior Infants to Second Class. The Sunny Street Storybooks provide ample opportunity for the development of key language skills. 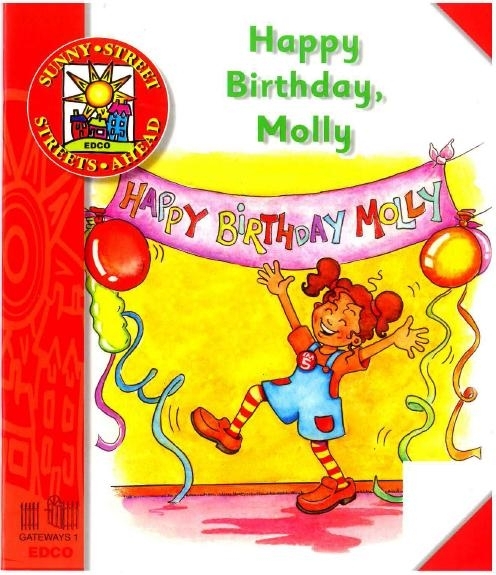 • Molly is having a fancy dress birthday party. • Assists with the development of language skills. • Children are encouraged to understand, sequence, re-tell, predict, question, imagine, personalise, express opinions, show empathy and dramatise events. • Introduces children to different genres of fiction.